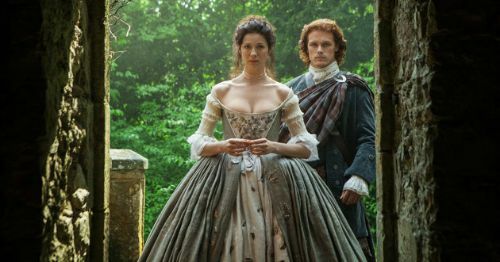 Scotland essentially serves as its own *character* in the Outlander saga. Accordingly, the television series has showcased many of the country’s finest historical locations prompting thousands of visitors to flock in record numbers to visit. 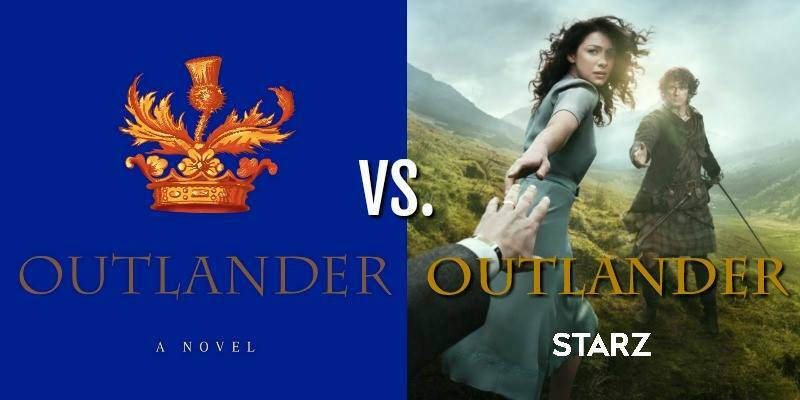 It’s called the “Outlander Effect” by those in the tourist and hospitality industry in Scotland. We like what we see on screen, but what do we really know or understand about the importance of these locations or the role they played in the history of Scotland? We at the Outlander Cast Blog thought we would help out by bringing you a new blog series highlighting the history and the lore of Outlander filming locations around Scotland. We start with Blackness Castle, used as the gloomy and foreboding “Fort William” and also known in modern times for its unexplained paranormal activity. Catch the history bug and get ready for a few ghost stories as we explore this Outlandish Location. During the “Killing Time” in the 17th century, thousands of Covenanters were executed during this period of political and religious upheaval. The Central Tower remains the oldest portion of the castle and is where prisoners of high nobility such as the Covenanters were incarcerated. The most famous prisoner was probably the Archbishop of Saint Andrews, David Beaton. Other less fortunate prisoners were assigned to the North Tower — and subject to the cruelty of the “pit prison” where high tides from the seas would flood the pit several times a day. As we explore the colorful history of this foreboding and fascinating fortress, you’ll begin to understand why it makes the perfect setting for Outlander’s Fort William. It’s appropriate then that the Castle stood watch at the seaport village of Blackness. Also fitting is that one of its earliest uses was as a massive garrison stronghold. In the mid-1500s, James V converted the castle residence into an artillery fortification. James was motivated by the looming threat from Henry VIII’s Protestant England. Any enemies approaching from the land met with the giant impenetrable mass of the “stern” stone tower and cannons fired through great gun holes. The South Tower walls were strengthened to produce a wall 5.5 meters thick and pierced at several places at ground level to allow artillery to fire south and southeast. At the time, Blackness was a model of technological artillery innovations, including its complex entrance known as a “caponier.” The caponier was a passage within the external wall of the entrance that would allow the castle defenders to fire into the entrance area just in case any of the invaders made it past the castle gate. The caponier at Blackness is one of only three surviving in Scotland. Others exist at Sterling Castle and Craignethan. The castle also played a notable part in the Marian Civil War in Scotland, which followed the forced abdication of Mary, Queen of Scots. Blackness remained loyal to the dethroned Scottish Queen until the Castle Keep decided to switch sides, whereby the castle fell into the hands of James Stewart, the First Earl of Moray and the illegitimate son of James V. Supporters of Mary later assassinated Stewart. Blackness was briefly reclaimed for Queen Mary but soon after captured once again. Unfortunately, as warfare technology advanced, the mighty Blackness finally succumbed to the heavy artillery advances of Oliver Cromwell’s Scottish campaign in the mid-1600s. Attacked from both land and sea Blackness suffered serious damage. Over the years, the castle was repaired and restored to its original medieval look and then eventually designated as an ancient monument in the 1920s. Similar occurrences happened to Catriona and her guests over the remainder of the 2015 and 2016 tourist season, but have not occurred since. There are no pipes in the building, so it’s hard to explain the obvious noises. Check out this YouTube video of Catriona and her guest’s encounter, especially at the :50 time marker. What do you hear? I visited Blackness Castle in the spring of 2016 but neither heard or saw anything inexplicable. However, I can attest to the overall general feeling of foreboding at the castle. It’s a dark, dank, but fascinating place. It remains a dour witness to some of Scotland’s bloodiest history. Blackness Castle is open to visitors from April 1st through September 30th every day from 9:30 a.m. until 4:30 a.m. and from October 1st to March 31st from 10:00 a.m. until 4:00 p.m., except Thursday and Friday. Always call in advance as there are sometimes unscheduled closures. The ladies that work at the Visitor Centre are delightful and happy to relay their stories of the days when the Outlander Production descended on the castle for filming. When I was there in May of 2016, the production had recently filmed the Season 2 scenes with Roger and Brianna. At that time, the castle workers were bound to secrecy regarding some of the filming details as the episode had yet to air. But, they told us just enough to get us guessing and wondering! Blackness Castle is an easy drive from Edinburgh City Centre and for hikers, also accessible via the John Muir Way trail, which passes right by the castle entrance. Blackness Castle proves itself more than worthy of Gabaldon’s description of the menacing and ominous “Fort William” where so much pain, agony and conflict occurred for our series’ hero and heroine. It’s a worthwhile stop if venturing outside Edinburgh. Plan for at least two hours there for the full experience, including time in the Visitor’s Centre and Gift Shoppe. And, don’t forget to listen for the Ghosts of Blackness! Catch the History Bug and read more about Scotland’s dramatic past at Historic Scotland. Have you visited Blackness Castle? If so, did you see or hear any unexplained activity?